Can you imagine finding out that your mother has another life that you didn’t know anything about at all? 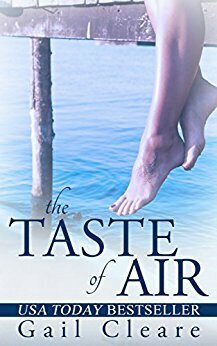 If you’re looking for a good book about secrets, dealing with life and family, a good choice would be “Taste of Air” by Gail Cleare. So Nell travels to take care of her mother, who is in the hospital in a different state. Her mother isn’t supposed to be in a different state. She’s supposed to be living at an assisted living community. It is the first of many secrets that Nell and her sister, Bridget, uncover. I liked the main characters, Nell and Bridget. The neighbor guy seems a little weird. He has some secrets too. This book made me think about the sacrifices that spouses make in order to make other people happy. Nell’s mother, Mary, made some huge sacrifices for her husband. Right or wrong, I don’t think I could make sacrifices like that for anybody. Especially not if Mary’s husband was my husband. He’s deceased but from the way people talk about him, he seems less than pleasant. I enjoyed reading this book. It only took a day or two to read it because I wanted to know all of the secrets and to understand why Mary led two lives. *I received a free ebook in exchange for doing a review.